Undergraduate majors and graduate Master's students are invited to submit applications for three specialty area scholarships. The principal objective of these scholarships is to support student scholarly and/or research activities. Applicants should expect awards of approximately $250, though amounts may vary, depending on the number and quality of applications, as well as the amount of available department funds. Applications must include 1) a statement letter (no more than 2 pages), 2) Curriculum Vitae, 3) UNT unofficial transcripts, and 4) FERPA/FAFSA release. Scholarship applications are due Monday, November 5, 2018. 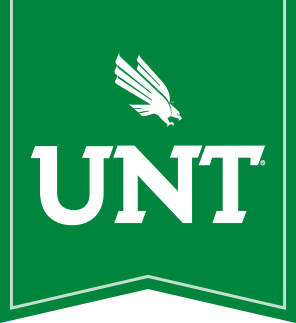 Send a single PDF document to Keshia Wilkins (Keshia.Wilkins@unt.edu) with name of the specialty scholarship group you are wishing to apply to in the subject line. Evaluations: Applicants will be evaluated on a) academic performance to date; b) scholarly and/or research activity in specialty area; c) explanation of how funding will advance scholarly and/or research activity; and d) the overall quality of the application. Scholarship winners (there could be more than one for each, depending on department resources and quality of applications) will be notified by November 23, 2018 so that the funds can be applied to spring semester tuition. As part of receiving the scholarship, students must attend the Department Awards Banquet in April, where winners will be recognized.